At least five people have been killed in North and South Carolina by Tropical Storm Florence. The storm was downgraded from its original category three hurricane status - but the region is still being pounded by rain and people are being urged to stay off the roads. A woman and her child were killed were among those killed, when a tree fell into their house in Wilmington in North Carolina. On Friday afternoon, the US National Hurricane Centre warned that the weather system would bring life-threatening storm surges and catastrophic freshwater flooding. 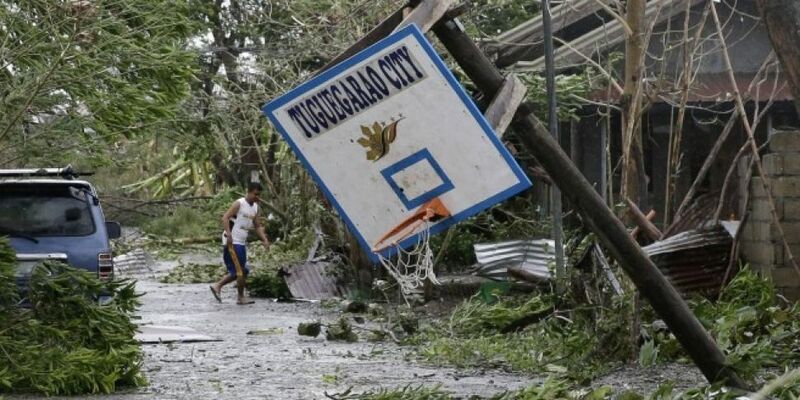 The typhoon was the strongest storm the planet has seen this year before it made landfall on Cagayan province at 1:40 am local time. Ricardo Jalad, head of the nation's disaster agency said two rescue workers were killed as they tried to free people trapped in the mountainous Cordillera region. A body was also found in a river in Manila, according to police said.